It is great to have somebody that really understand you about your credit or any issues in reference to this matter. She answered all my questions in a timely manner. Very much appreciated. Consolidated Credit has been extremely helpful in minimizing and eventually eliminating my personal debt. Their credit counselors are very helpful in organizing the required documents & dealing with the creditors. These services are worth every penny and offer hope for a debt free future. Tatiana answered all my questions and gave me exactly what I was looking for. She took care of all my needs in a timely manner. Customer Service Department has been very helpful and pleasant whenever I’ve called. Fast, easy to understand, and was all-around excellent. I was very happy with the services that was given to me. Top notch! I am so satisfied with CCS. This is the happiest I’ve been in years! The people that have worked with me have always been pleasant, courteous, and very helpful. I would recommend them to everyone! She was amazing and very knowledgeable. I truly appreciate her help today. Tatiana was very helpful and I would rate her a 10. I have been in the program for about 4 years and as of March 22, 2017 I completed the program and I was calling to tie up any loose ends there may be. I spoke to a gentlemen names Bob who I might add is wonderful. At that time he explain my next steps. The whole time in the program was a wonderful experience. I never had not even one bad conversation with any person I talked to. Every single person was very understanding and encouraging even when I didn’t think I could keep going. The tutorials that came by email were informative and interesting very helpful. I will recommend this to anyone is in credit card debt. I love the program. Your were a life saver and I appreciate all of you involved in my new financial independence. 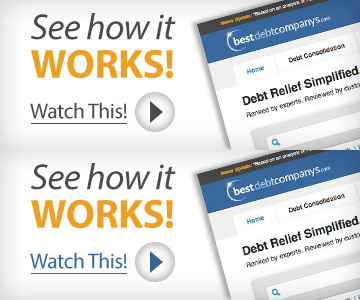 They helped me manage my overwhelming credit card debt at a time when I really needed it. And then when the opportunity came to pay it all off, they were friendly and getting it all taken care of was pretty hassle free.